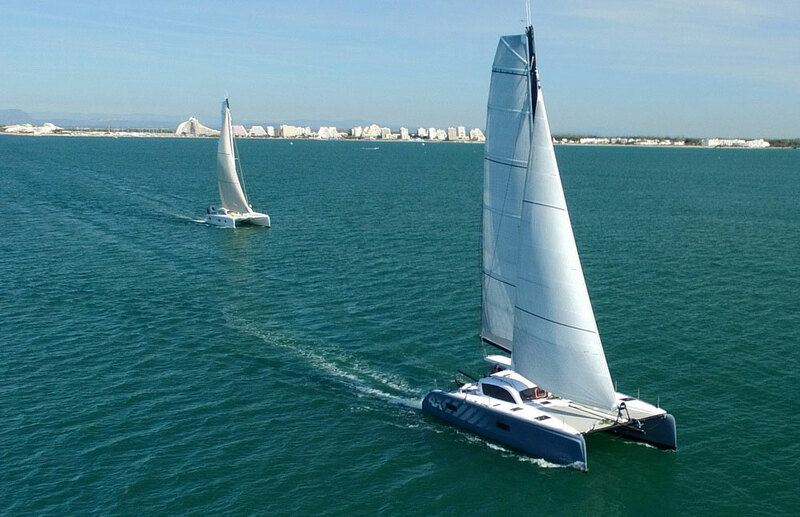 Outremer Catamarans are consistently at the top of any performance catamaran buyer’s short-list, where sailing performance, safety, and seaworthiness, are top criteria. While there are compromises with all boats, with Outremer Catamarans, there is no compromise when it comes to Safety & Seaworthiness. 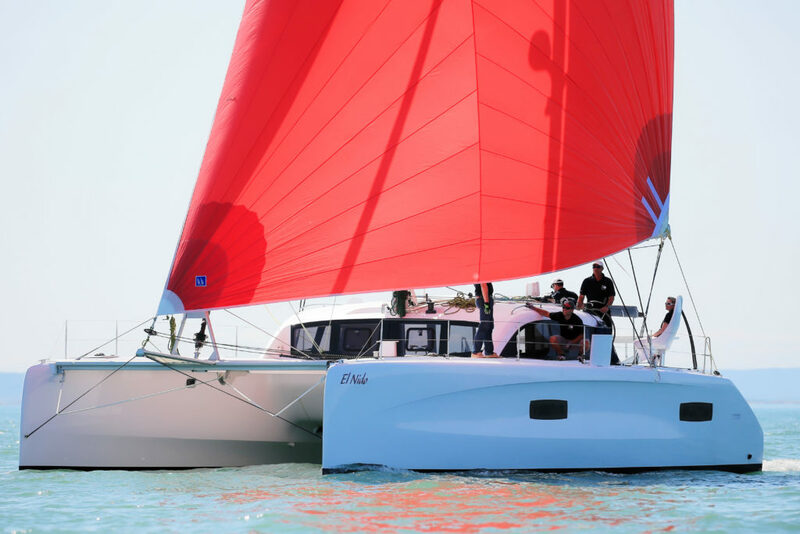 While those attributes are very admirable in a company that has been building bluewater catamarans for over 30 years, what are some of the other distinguishing factors that make owning an Outremer Catamaran versus the competition, the right choice? A.) Already mentioned the longevity of the company; 30+ years of design expertise, production know-how, and skilled workforce at hand. Recent production facility expansion to meet a growing demand for products, always a healthy sign, along with a reasonable wait time for new order deliveries. B.) No compromise in build quality and structural integrity of hulls which translates into great sailing performance and high resale value. 1) Single Frame Bulkheads for performance and durability. This results in rigid hulls with no deformation and these bulkheads are glued and laminated along their entire periphery. 2) Multiple Watertight Bulkheads, 4 in critical locations, for Safety, Safety, Safety. 3) Structural Bulkheads in numerous key locations throughout the hulls. This results in a very rigid hull with great durability. 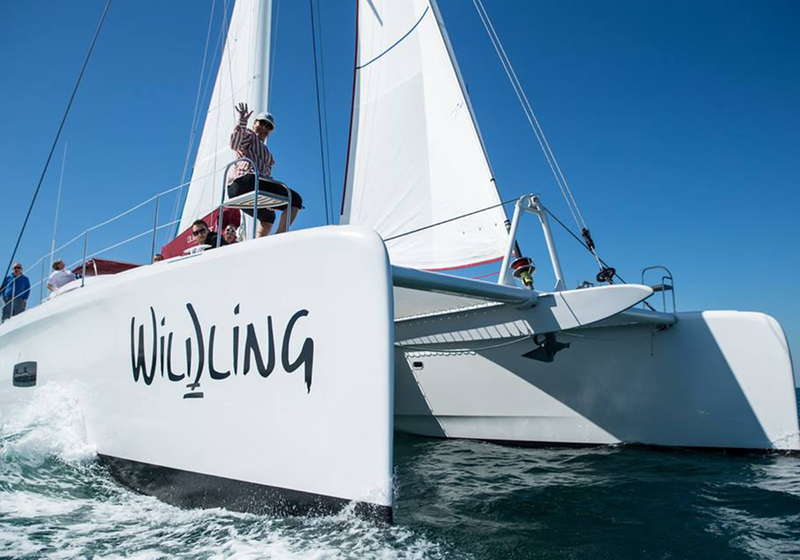 While other catamarans will “oil can” while sailing through waves and various sea states, Outremer Catamarans consistently outperform these competitors due to these inherent, no compromise construction features. 4) Omega Reinforcements incorporated into light, thin hulls. These are strategically placed foam sandwich omegas which add to overall hull stiffness and strength. 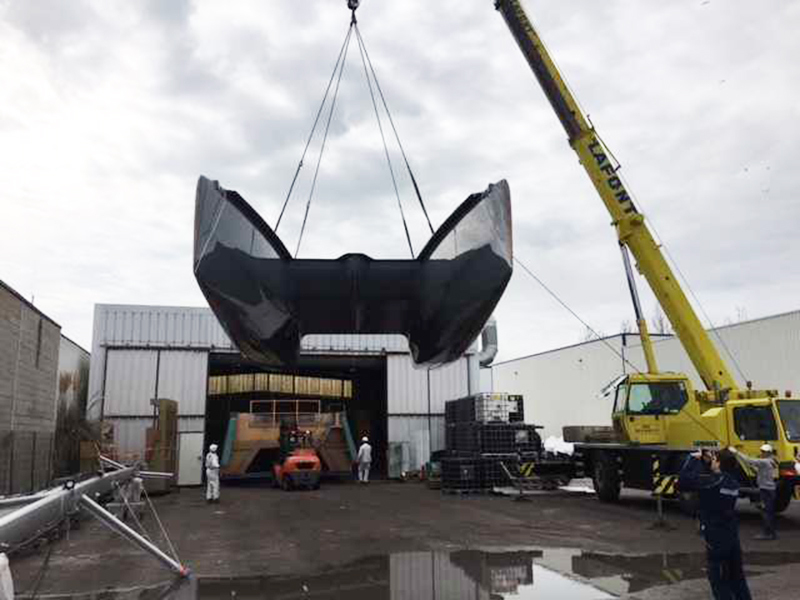 D.) Years of perfecting the Infusion Process for consistent high quality, homogenous, weight optimized hulls and decks. Each Outremer Catamaran is quality guaranteed from years of manufacturing expertise. 1) Above the waterline— Sandwich Foam/Polyester for lightness and stiffness. 2) Below the waterline—“Monolithique” for better resistance to impact and puncture, ie solid below the waterline. F.) Daggerboard boxes designed for safety: Recent design relocation along the hull sides, they are laminated from top to bottom, located just in front of the adjacent bulkhead for strength and safety, and result in topside wider, unobstructed, safer decks. G.) Spacious sail lockers — large watertight volumes offering light bows for performance and safety, providing large storage spaces which are compulsory for passage making, and incorporating horizontal and vertical bulkheads for additional safety. 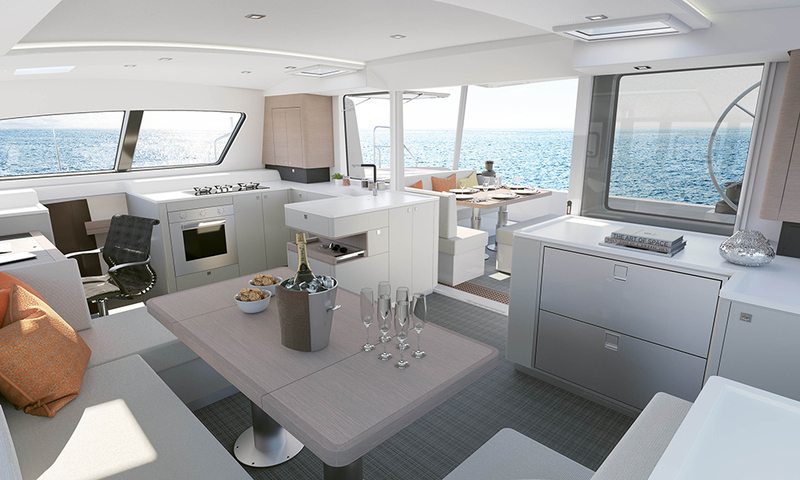 H.) Cockpit—Saloon with virtually 360-degree visibility; whether enjoying the aft cockpit or preparing meals in the galley, the unobstructed vision promotes safety, and staying connected with guests and the skipper. This design principle also affords great lighting of the interior, good headroom inside and outside, along with great ventilation throughout. I.) Interior Nav station not only provides real desktop space but is forward-facing, has large windows to the side and in front. Again affording safety and comfort in all weather conditions and sea states. J.) 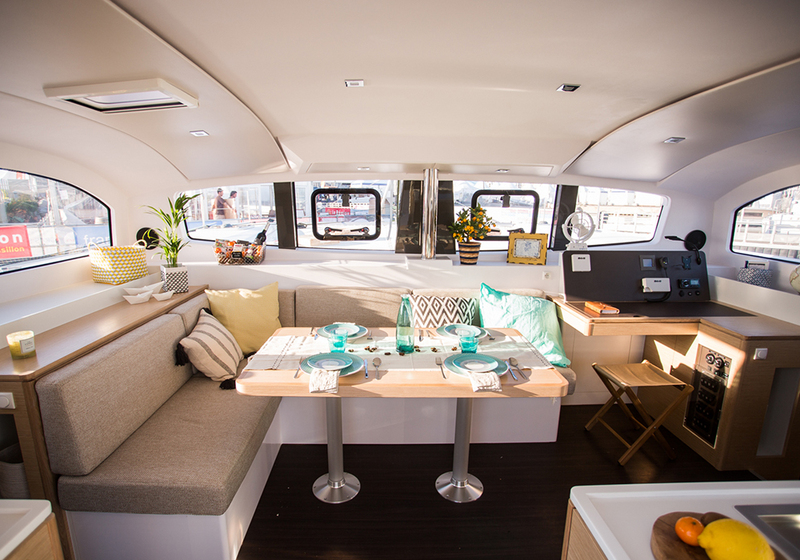 Level living space from Main Saloon to Aft Cockpit—Not a single step to negotiate from one space to another, providing a comfortable, ergonomic, and friendly transition from inside to out. Yes, it is also another great safety factor incorporated into the vessel design! K.) The resale value above market competitors providing owners with a great ROI. 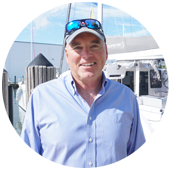 The current demand for previously owned Outremers remains strong and the limited annual production will remain stable for years to come. 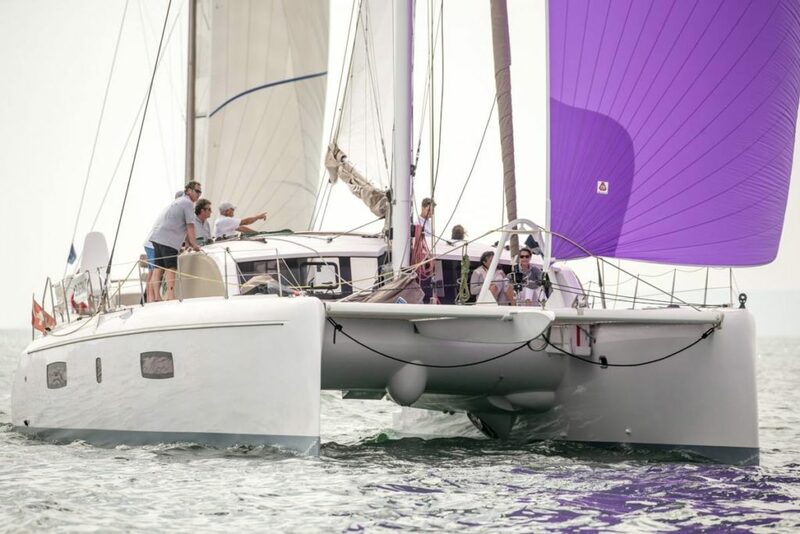 The result of this scenario makes for happy owners and happy Outremer executives. 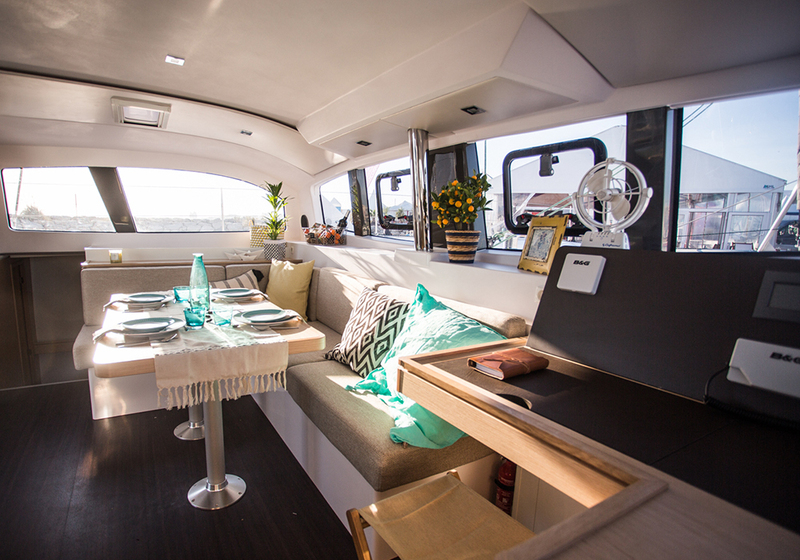 The above are just a few features which make the Outremer Catamarans outstanding in their own right, and this is not meant to be all-inclusive, as there are other noteworthy features as well.